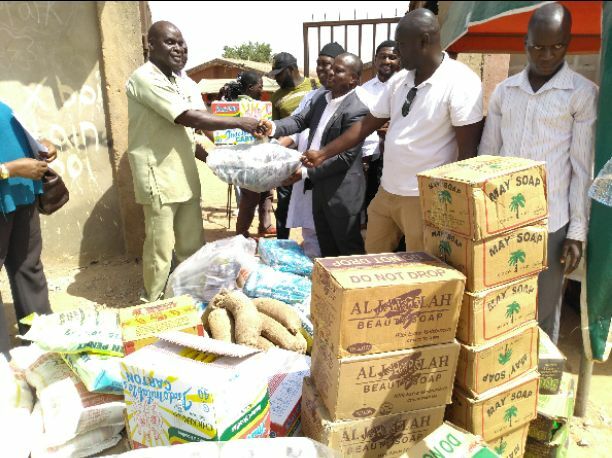 The Nigerian Medical Association (NMA), Kaduna State branch, on Thursday visited and donated drugs, food and other relief materials to the 2,511 internally displaced persons (IDPs) currently seeking refuge at Adara Community town hall, Angwan Kadara, Sabon Tasha, Chikun local government area of Kaduna State. The 2,511 IDPs in Adara camp are among those affected by the bloody repraisal attacks in some communities in Kajuru and Sanga local government areas of the state that left scores dead and more than 10,000 displaced. NMA Chairman in the State, Dr Stephen Akau Kache told newsmen that, as a group of medical professionals in the state, the association understood the plight of the IDPs especially, as they are clustered together in one place. He said, the association had earlier brought drugs, but discovered that there was the need for more than drugs, hence, the donation of food items and other things to reduce their plight before they return to their homes later. “There is no one that will come here and will not feel for these people. They are majorly women and children. We are aware they stay with friends and relatives but they have to converge here every day. That was why we are here on behalf of NMA Kaduna branch to give our own support in service and relief materials. “Already we have assisted them medically. But, we discovered there is also the need for us to support them with food items and other necessary things. Here, we have five bags of rice, 39 tubers of yam, 96 pairs of sleepers, cartons of noodles, toiletries among others. “We are also aware that twenty of the women are pregnant. Two of them gave birth a few days ago, they are expecting another delivery any moment from now. We will get in touch with private and government hospitals to see how their medical personnel can be coming to assist them. “Apart from the pregnant women, other ailment we have discovered here shall be transfered to private hospitals for better treatment. We can a block of toilet under construction by a church. But, they need more considering the number of people here,” he said. Receiving the donation, the Chairman, Adara Town Hall Camp Committee, Musa Magaji, thanked the leadership of NMA for the kind gesture and promised to make judicious use of it.